I jump started a car with an AGM battery and later discovered that the 30A fuse connected to its positive terminal had blown. I suspect that this occurred while performing the jump start. How many amps would have gone through the fuse to cause it to blow? 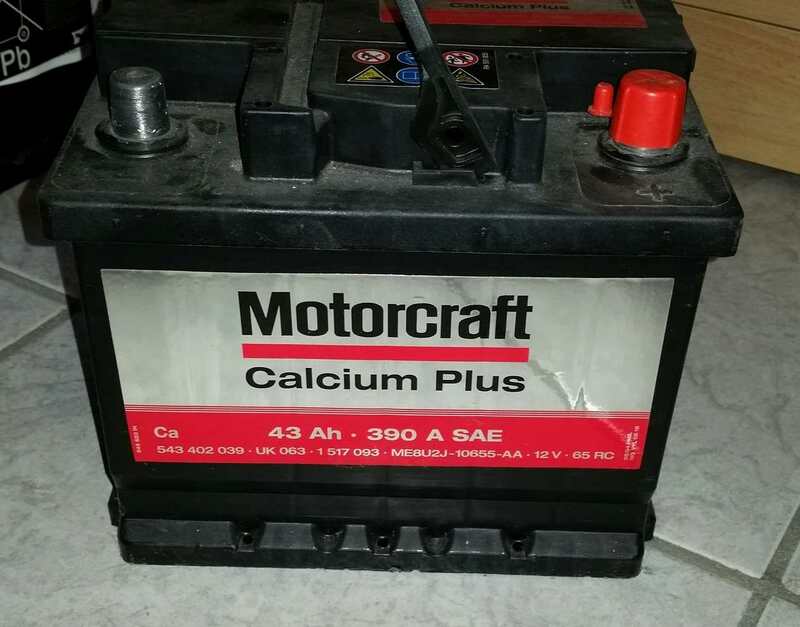 If I attempt to jump start a car again in the future using this battery, should I use a fuse with a larger amp rating, should I remove the fuse completely from the positive terminal or are AGM batteries simply not suitable for jump starting cars? Note that the 30A fuse was attached to the AGM battery that was used to jump start the car battery. There was no fuse attached to the car battery. Also the 30A fuse attached to the positive terminal of the AGM battery is not indicative of the specifications of this particular battery. I purchased this battery to chain to a Goal Zero Yeti solar generator / battery to increase its capacity. The manufacturer of this product recommends attaching a 30A fuse to any battery to which it is chained. Probably that battery is not designed for automotive applications. SLA (Sealed Lead Acid) batteries are designed to start car engines, and that requires a peak current that may be several time the C rating of the battery. The starter battery is designed to crank an engine with a momentary high-power load lasting a second or so. For its size, the battery is able to deliver high current but it cannot be deep-cycled. Starter batteries are rated with Ah or RS (reserve capacity) to indicate energy storage capability, as well as CCA (cold cranking amps) to signify the current a battery can deliver at cold temperature. SAE J537 specifies 30 seconds of discharge at –18°C (0°F) at the rated CCA ampere without the battery voltage dropping below 7.2 volts. RC reflects the runtime in minutes at a steady discharge of 25. (SAE stands for Society of Automotive Engineers.) See also BU-902a: How to Measure CCA. Usually deep-cycle batteries have a lower peak current rating than a starter-battery of comparable capacity. Anyway, the presence of that fuse tells you that you can't possibly start a car with that battery. Even a small car needs a starter-battery with at very least ~10Ah capacity, this means it should be able to deliver a peak current of at least ~50A (and I'm toning it down; actually in all my life I've never seen a car battery having less than 30-40Ah rating). Bottom line: to jump start a car you need a (possibly fully-charged) starter-type SLA battery having an Ah rating comparable with the battery mounted on the car, so that it can survive the couple of minutes you need to enter your car and start the engine and still provide the peak current needed by the starter motor during the start phase. Maybe you could attempt a jump-start with a deep-cycle battery, but probably it should have a capacity several times the one installed in the car. Say 200Ah for a car mounting a 50Ah battery. You are in for heavy-weight lifting! Anyway, if you posted a photo of that battery it might help to narrow down the issue and give you a more accurate answer. A correctly rated AGM battery will start a car you will need to consult the manufacturer of the battery to determine if yours will do this. You are looking for its "cold cranking" amp rating. The current used by a starter motor is very variable and depends on the engine size and type and the temperature. It will vary from around 100-500 amps again your vehicles documentation will give you the definitive guidelines for this. The fuse will almost certainty have blown during your attempt to start the engine. Remove the fuse for future start attempts. Just be careful to put it back when you are done and don't short the battery out when wired for starting. Your question isn't 100% clear so I'm going to have to assume a few things. You said that there is a 30A fuse connected to the positive terminal, but it is ambiguous on which battery this is attached to. I'm guessing it's attached to the AGM, not the car (IIRC cars never ever have fuses attached to its starter). When cranking the car, you generally draw an enormous amounts of current. Although I've never measured it myself, I've seen reports that it goes up to 100A. That's a lot more than 30A. In fact, it's so high that the car battery voltage temporarily drops to almost 8V from its nominal 13.8V. This is why there is no inline fuse in a jumper cable--it's kind of useless. Not the answer you're looking for? Browse other questions tagged charge lead-acid or ask your own question. Is it okay to charge a VRLA with a AGM charger?